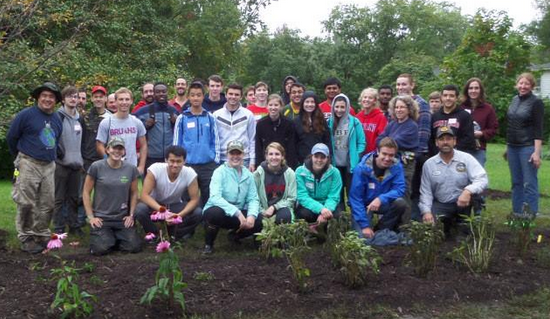 Congratulations to the many volunteers who came out to help plant the Trolley Trail Permaculture Garden during two recent Saturday mornings. The following summary of the project is adapted from Councilmember Alan Hew’s Facebook posting. This Permaculture garden (focusing on edible plants) was planted for the public to help themselves. It took a Council resolution to bring this about, which was my doing. The Committee for a Better Environment (CBE) put together the proposal to do it and organized it. Lincoln Smith of Forested: Creative Ecology designed the garden. The City Public Works department provided site prep items like tools, compost, mulch and logistics. A number of residents turned out to help. The University of Maryland provided student volunteers from the College Park Scholars Environment, Technology & Economy program. Students from the Student Government Association’s Student Sustainability Committee also attended. Thanks again to the members of the Committee for a Better Environment, including CBE Chair Gemma Evans and city liaison Steve Beavers, for their invaluable dedication to this project. 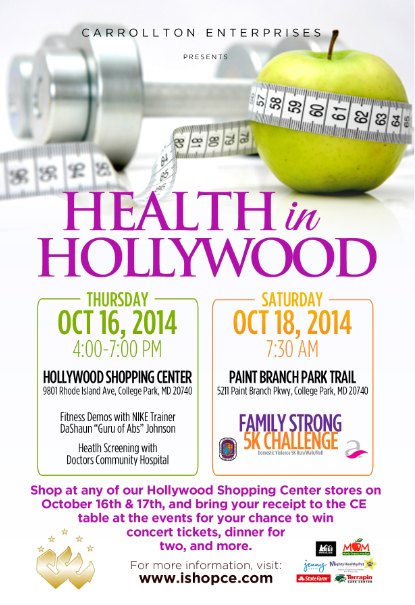 Join sponsor Carrollton Enterprises for two important health-related event this week!